Details over OOSTENRIJK: UITGAVE 2019 ZEGEL ERWIN WURM - FAT HOUSE. OOSTENRIJK: UITGAVE 2019 ZEGEL ERWIN WURM - FAT HOUSE. 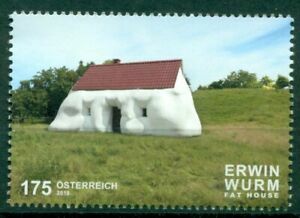 OOSTENRIJK: UITGAVE 2019 ZEGEL ERWIN WURM - FAT HOUSE.